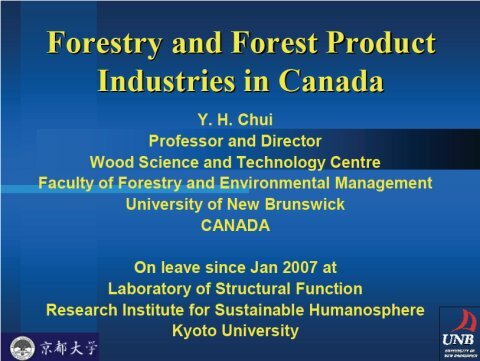 An overview of the Canadian forestry and forest products industries will be presented. Some statistics on Canadian forests, production and export of forest products will be given. The presentation will also discuss the major issues and challenges facing the Canadian forest and related industries, adaptation of new technologies to address challenges, and future trends and direction in the Canadian forest products industries.